Chile peppers were domesticated in Mexico more than 6,000 years ago. Within decades of first contact with Spanish and Portuguese explorers in the 16th century, the new world plant was carried to Europe and from there to Africa and Asia. First grown as botanical curiosities in Spanish and Portuguese monasteries, the monks soon recognized the culinary potential of chiles as a substitute for black peppercorns, which were so expensive at the time that they were used as legal currency in some countries. Portuguese traders are credited with bringing chile peppers to India (there was a Portuguese colony in Goa), Central Asia and Turkey, and to Hungary, where, in the form of paprika, they became the national spice. Portuguese missionaries introduced peppers in Japan in 1542 and later in Korea. Today India is the world’s largest consumer, producer, and exporter of chile peppers. Along the way, many recipes for hot sauce emerged, and the only ingredient they all shared was chile peppers, either dried or fresh. 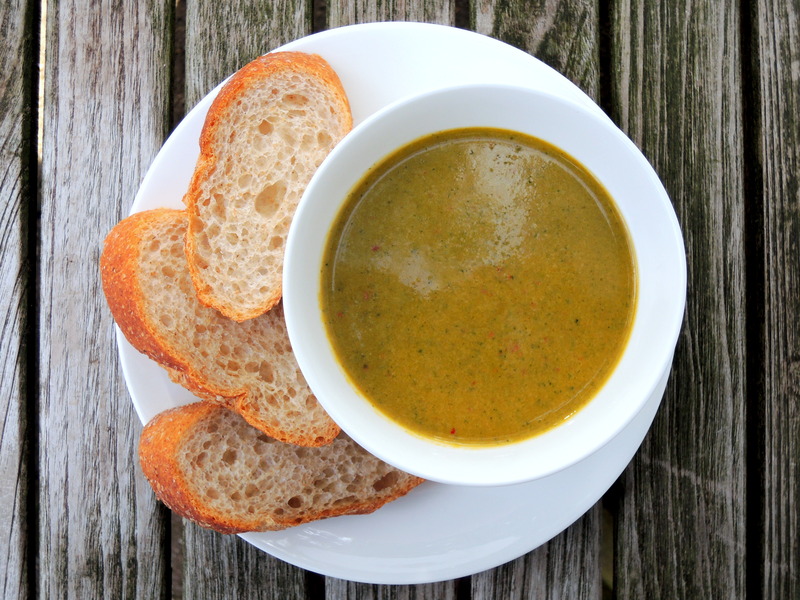 Some used peppers as a base and added other ingredients, often only vinegar and salt. Others used fruit or vegetables as a base and added peppers for heat. Some were aged in wood casks like wine or vinegar, and some were pureed and cooked. An easy way to gauge the heat of a commercial hot sauce is to look at the ingredients list; The type of pepper used, and its place on the list, both offer clues. Many chile cultivars have evolved and some are hotter than others: Ghost (bhut jolikia), habanero and Trinidad Moruga Scorpion peppers are considered the hottest (ghost peppers are 400 times hotter than American Tabasco sauce), and sometimes additives like capsicum extract and mustard oil are used to crank up the heat. The further down the ingredients list the peppers appear, the fewer are in the sauce. o Caribbean cuisine relies heavily on hot pepper sauces made, like their American counterparts, with chili peppers and vinegar. Habanero and scotch bonnet (a specialty of Jamaica) are usual, and fruits like mango papaya or tamarind are sometimes added for flavor. Jamaican Pickapeppa Sauce is widely available. 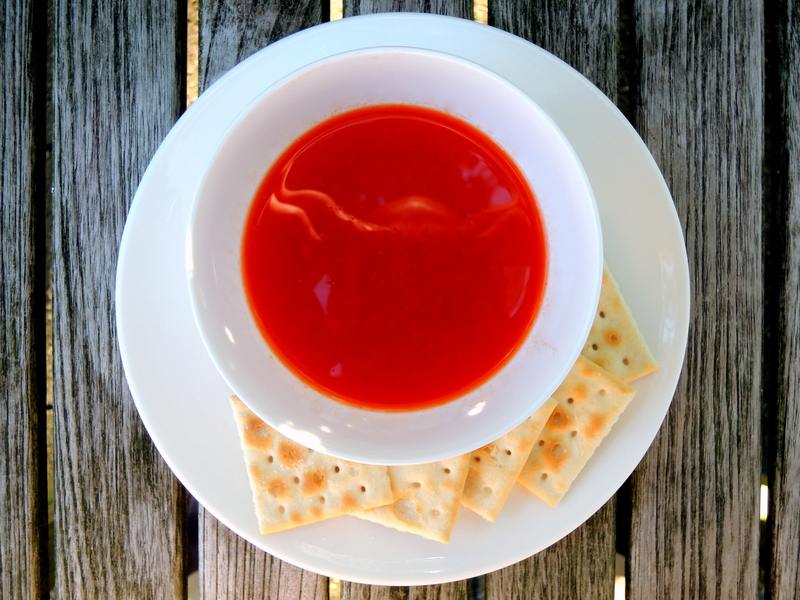 In the Atlantic, the Island of Bermuda relies on Outerbridges Original Sherry Peppers Sauce to add zing to its famous fish chowder. 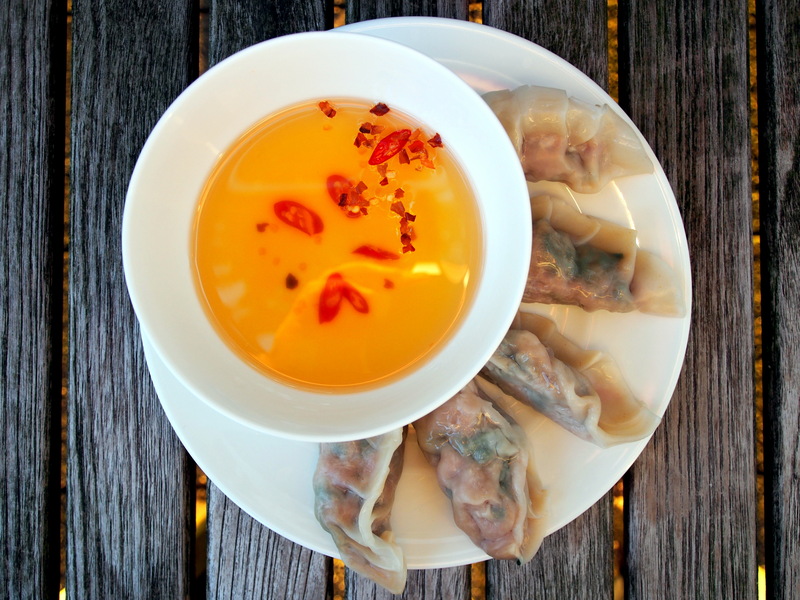 o Hong you, a chile and spice infused oil, is central to many Sichuan dishes and is a customary dip for dumplings. In Japan a similar preparation is called rayu. 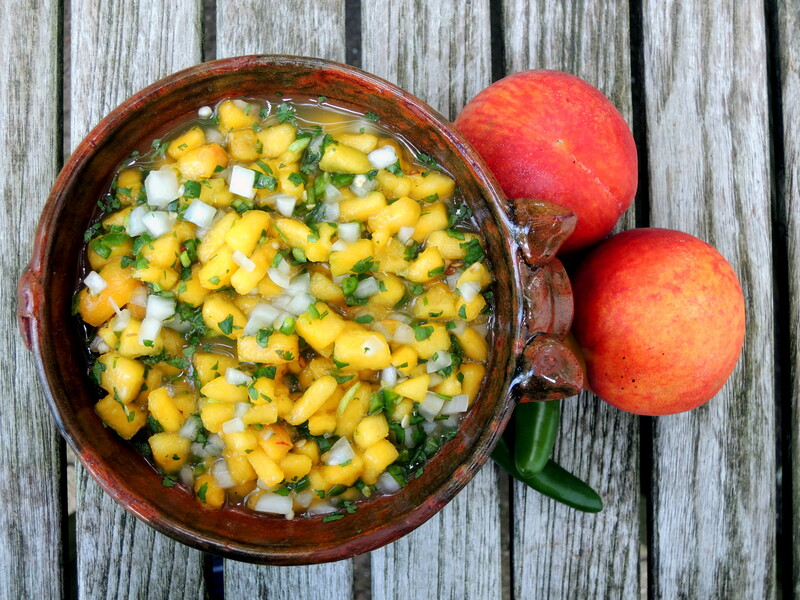 o Mexican hot sauces accentuate the flavor of the chiles over their heat. 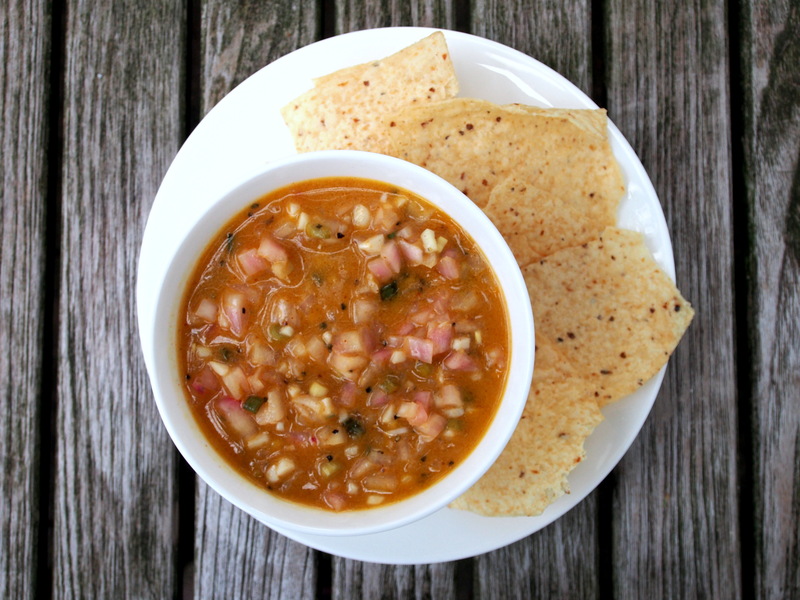 Chipotle chiles are popular, and vinegar is used sparingly, if at all. Cholula hot sauce is a well known Mexican brand. 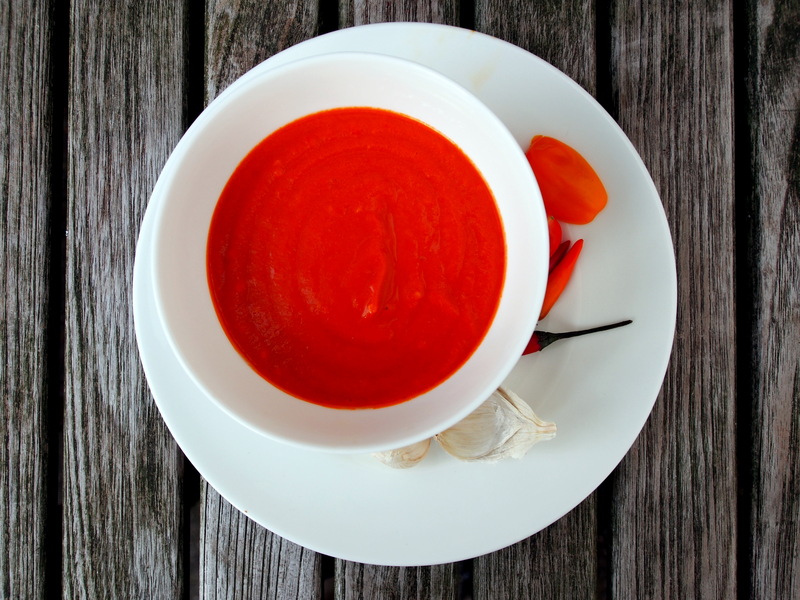 o Piri piri is a hot chile sauce that originated in Mozambique and spread throughout Sub-Saharan Africa. It arrived in Europe through contact with Portuguese Mozambique. Piri piri peppers are also sometimes called African birds eye peppers. 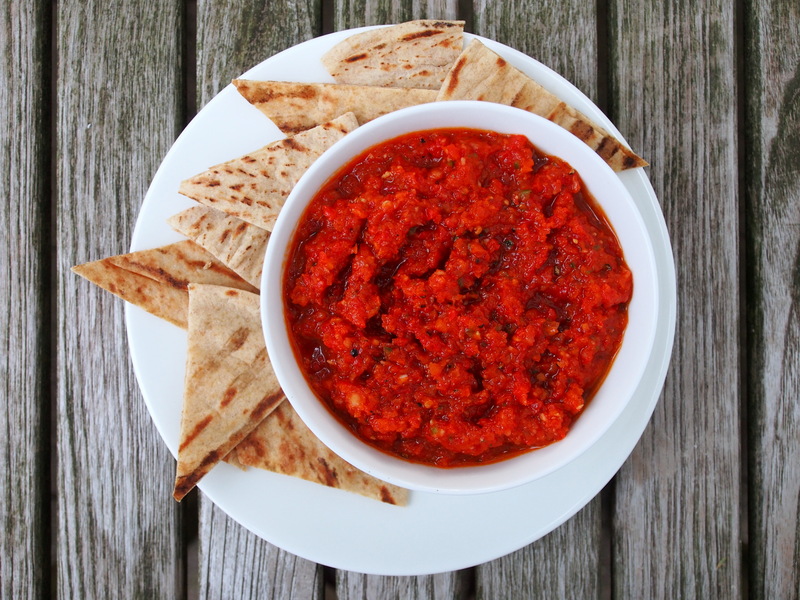 o North African harissa is made from ground red birds eye chile peppers, olive oil, garlic, cumin, coriander, and sometimes caraway. 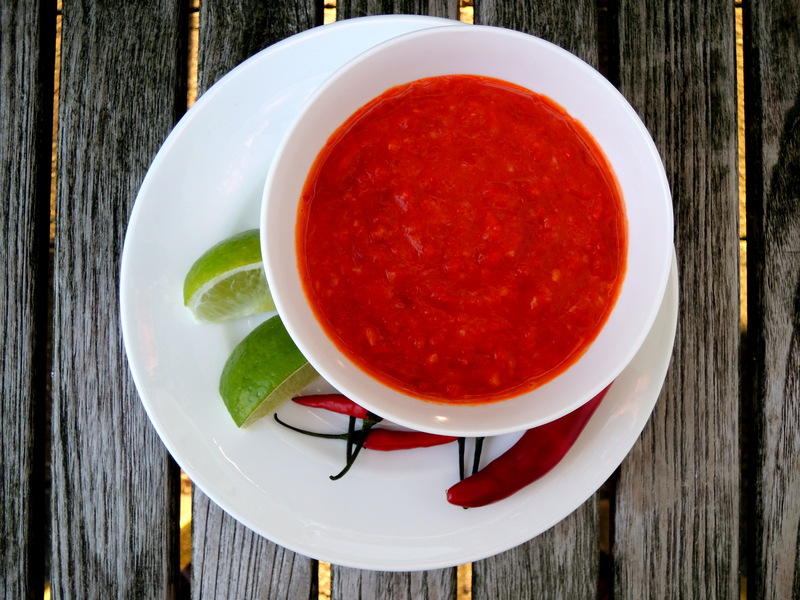 o Sriracha is a traditional Thai hot sauce made from ground chiles, garlic, vinegar, sugar and salt. Shark brand sriracha is a classic commercial version made in Si Racha, Thailand. 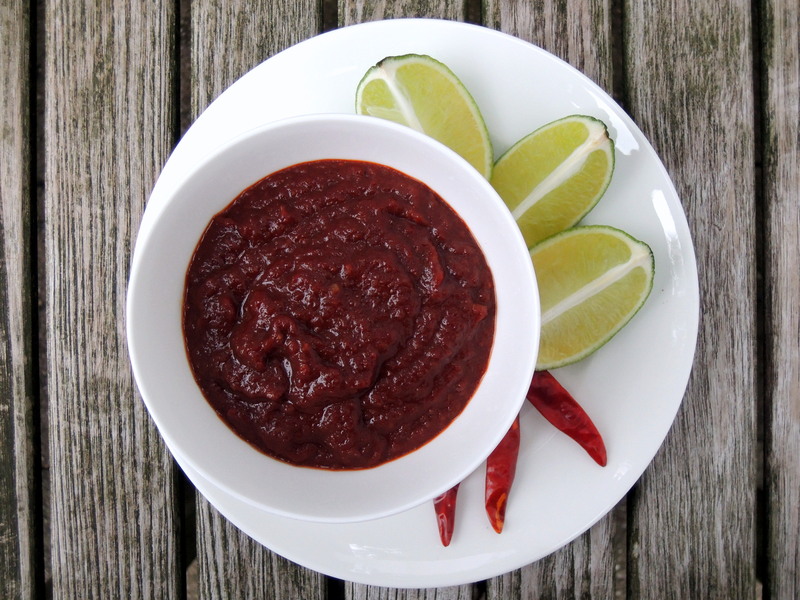 Nam prik is the generic name for Thai chili dip or paste. 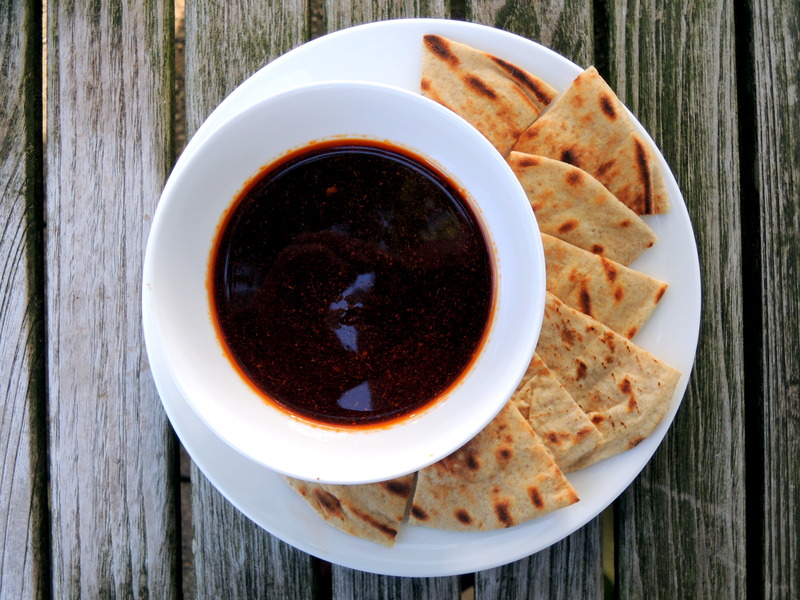 Nam prik pao is roasted chile paste.